I know for many the long months of winter seem to drag on endlessly. We long for the colors and sounds of spring, for the emergence of new life and that soft spring air. Winter in Texas does not last long and while I’m a strong supporter (and lover) of the winter months I am not without my own longings for the beauty that follows the cold. 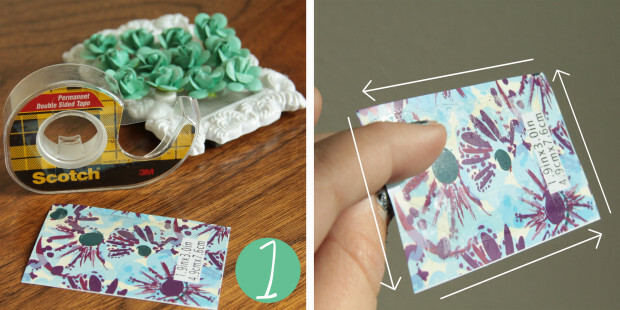 All this week I’ll be doing quick and easy DIY projects that will add a splash of color to your every day life. These Do-It-Yourself demos cost me under 5 dollars each! One of my favorite colors is green. Pretty much any kind; from those hues walking the line of blue all the way to the ones flirting with yellow. 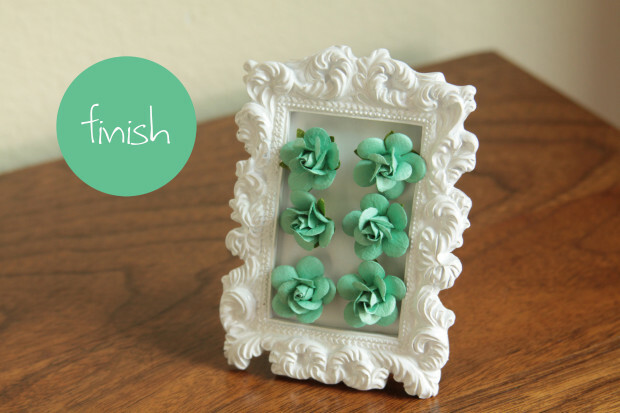 That is why these minty green paper flowers caught my eye. They are fun and fresh with a touch of elegance to them. I got this inspiration from my dear friend Kat, who came up with it as a gift idea. *I got the frame and stickers from Michael’s for 3 dollars total. Using the sheet that comes in the frame (or cut one of a desired color to size), tape the backside (in this case the side that was once facing out with the dimensions) on all four sides. 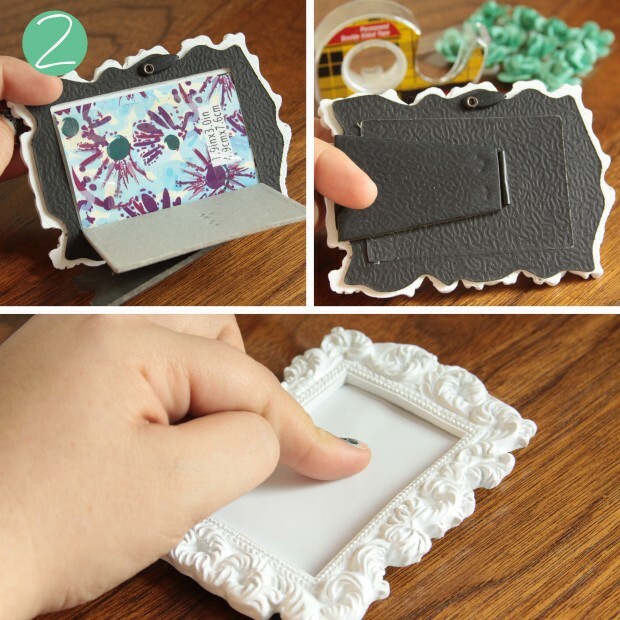 Lay the now taped paper into the frame with the good side facing the front and the taped side facing the backing. Close the backing on to the paper and then flip it over and make sure your background is smooth and pressed firmly against the backing. Begin putting your flowers on. Simple as that! I did mine in a 2 x 3 arrangement but it is really whatever you want. You can even alternate colors. 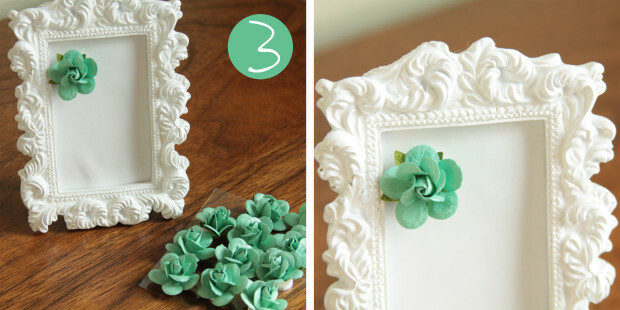 The white frame just lightens up the room and the soft green paper petals make me think of fresh spring air. 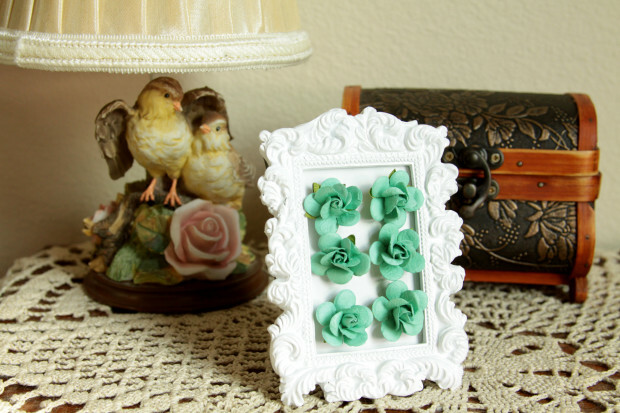 Make ten and scatter them across the house or give them as little gifts to symbolize new growth and bright beginnings. Tis the New Year and we should greet it with wide eyes and open hearts. Happy Making! Oooo, that’s a good idea!! I smell crafting the next time I come to visit! 😉 I can get the supplies needed and bring ’em with me! Yours came out great! I used the Tacky Glue for my adhesive, but that’s because I used cardstock as my background, so I could get away with it. I never thought of using tape, lol. Great idea! Ahhh! 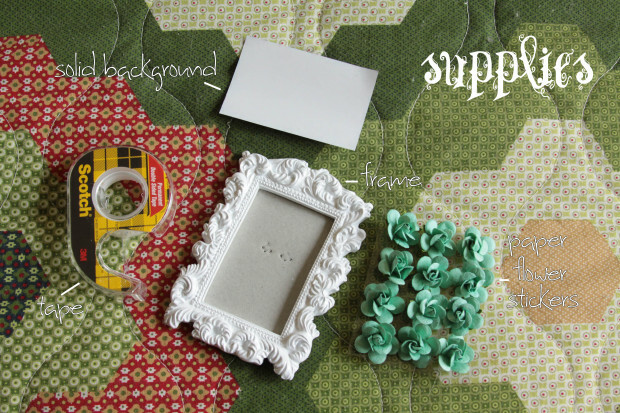 Tacky Glue would work great for cardstock. Yeah I got away with just flipping over that little price paper that come in all frames.